This has nothing to do with reading, writing, publishing or editing books. 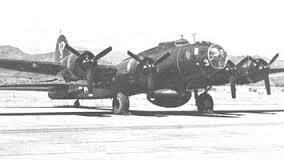 I had been in the PB1W squadron for about a year and a half when North Korea invaded South Korea in June of 1950. At the time I had been anticipating the end of my three year enlistment the following fall.Instead of my enlistment ending I faced the choice of having my enlistment extended or re-upping. If I reenlisted I would get a two hundred dollar bonus. That seemed like a no brainer and I reenlisted for four more years and spent most of the bonus for a Remington Automatic 12 gauge shot gun. Soon after reenlisting a notice circulated asking for volunteers to join in the formation of a special project. They wanted single men with ratings such as mine with a two year minimum navy commitment. Not looking forward to spending more time as crewman on a PB1W, I volunteered. Things started happening including being cleared for top secret information. The special projects electronics personal were sent to a series of classes to learn something about the new equipment we would be using. We were also sent cross country from San Diego to Baltimore Maryland by rail to get training on the planes we would be using in the special projects mission. Unfortunately the Marten factory people didn’t have the training program ready to go and we spent several weeks in Baltimore cooling our heels and visiting some very good Italian restaurants. We did get to see a P4M and climb through the planes that were being retrofitted for the ECM (Electronic Counter Measure) mission. The P4M looked pretty impressive, a big step up from the World War II PB1W I had been flying in. The planes still had the new plane smell and were equipped with two 4360 reciprocating engines, the most powerful conventional engine used by US military aircraft at the time and, two J33 jets. Four of the P4M-1Q planes were flown from Baltimore to Miramar where additional training to become familiar with the plane and its equipment occurred. Then the four planes headed for Sangley Point, a Naval Air Station located in the Philippines on a small point of land that jots into Manila Bay. We didn’t fly the most direct route which would have been to Hawaii then island hopped to the Philippines. Instead we flew to Whidbey Naval Aviation Station in Washington, then to Kodiak Island, then to Shimya and Japan and finally Sangley Point. We laid over in Japan and were briefed on what we would be doing and had a lecture by a survival expert who scared the pants off us describing how we could survive if shot down over China or North Korea. Remember we were supposed to be at war with China at the time, although they called it a police action. We started doing ECM patrols toward the end of 1951. Our territory ran from Vladivostok Russia in the north, along the Korean and Chinese coast lines to Vietnam in the south. We flew patrols out of Sangley Point, Naha and Kadena on Okinawa and Atsugi and Iwakuna in Japan. I flew on ninety five patrols during the twenty six months I was a part of the special projects. I was awarded an air medal during that time which was sort of a joke. The navy had a policy that awarded aircraft crewmen an air medal after they flew twenty five missions within an area in and around Korea. The number of missions flown within the Korean zone could be finagled by having a patrol flown from Sangley to Okinawa or a in and out patrol from Okinawa configured to catch the edge of the zone. I think I had almost enough missions for a second air medal by the time I rotated out of the special project tour. 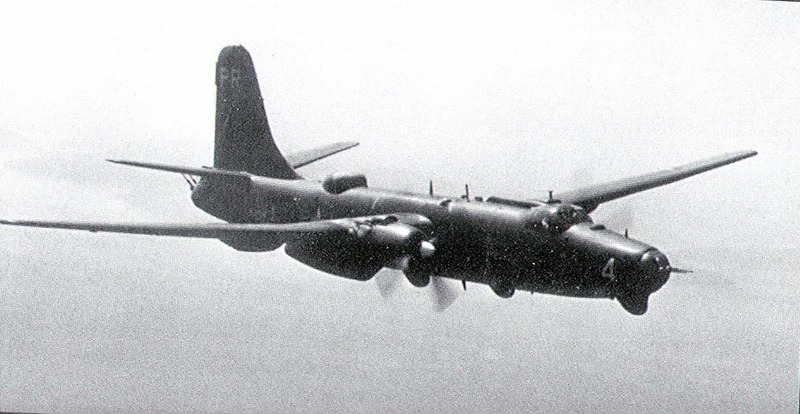 Picture of P4M-1Q in flight over the South China Sea in the early 50’s. Although we weren’t supposed to take pictures of the P4M-1Q, we did. However we were careful not to flash them around. Below is a picture of the plane that I took while it was parked at the Kadena airfield in Okinawa. Early morning light through broken clouds caused an interesting affect. The plane and I were alone that morning. When the planes were away from the Sangley Point home base, at least one crewmember had to be with the plane and I had the duty that morning. I returned to the states in time to spend Christmas at home in 1953. After the holidays I reported to VR-5, a naval air transport squadron located at Moffet Field, a naval air station south of San Francisco. VR-5 moved personnel and material across the Pacific and to Alaska and to Adak on the Aleutian chain. Those were the regular routes with “as needed” flights going anywhere when needed. 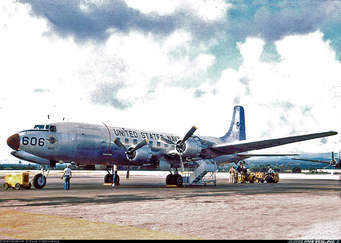 VR-5 flew R6D aircraft, equivalent to the DC-6 commercial version and state of the art at the time but slow by today’s standards. The time to fly from San Francisco to Japan using the Hawaii, Midway Island route took approximately twenty five hours. The Japan route was flown airline style, one crew would fly it to Hawaii, layover and another crew would take the plane to Japan. We often had a nurse with us when we flew to Adak. Adak had a history of generating mental instability and we occasionally provided transportation for passengers in straitjackets. On one flight we flew a base commander who had finished his tour in Alaska back to San Francisco and he was in a happily inebriated mode. He came into the cockpit area singing “San Francisco here I come, right back where I started from,” in a slurring voice. Soon after the Korean War started the GI Benefits given to World War II veterans were reinstated for Korean veterans. When I became aware of this I decided I would go to college and study engineering after I got out of the Navy. During the summer of 1954 I applied for an early discharge in order to enter South Dakota State College School of Engineering in September, two months before my enlistment would have expired. The Navy happily agreed since the Korean War had ended and they were in a downsizing mode. When I left the navy I had flown 2595 hours as a crewman on various navy aircraft. In June of 1958 I graduated with a bachelor’s degree in Electrical Engineering. That is the beginning of another story.